With a legacy in dance music in the USA, author Michael Tullberg delivers a book of essays about being a raver and the common threads that bind them all. The various authors of the book reveal their personal experiences and deliver poignant revelations on just how life-altering and important the rave scene was, and still is, for them. Titled 'The Raver Stories Project', the book reveals the rave scene as it really was and is, compiled and edited by apparently one of the ultimate US rave insiders—dance music photojournalist Michael Tullberg. Having worked for possibly all the major electronic music magazines of the period, such as URB, MIXER, BPM Culture and Insider, Tullberg has long been dissatisfied with the mainstream public’s negative perception of raving. In late 2016, he put out a Call for Story Submissions to the electronic music community, asking for their most memorable, exciting and even transformative experiences in the rave scene. The response he got was nothing less than phenomenal. He received stories from around the world, ranging in time from the original UK rave explosion in the late-1980s until the present day. The scope of the stories is wide, including warehouse parties, desert raves, mansion parties, underground clubs, and much more. Tales came in about the over-the-top lunacy of Electric Daisy Carnival, the elite VIP room at Ministry of Sound London, and the desert wastes of Burning Man, among many others. 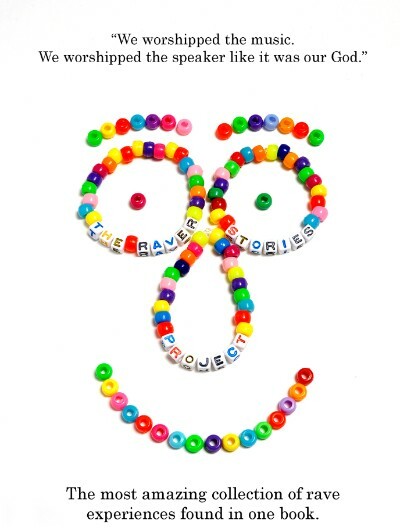 The personal experiences of the raver authors are often eye-opening, such as the stories from survivors of emotional and physical abuse who found solace in the healing arms of the rave scene. One account is from a Chicano DJ and producer who credits the rave scene from saving him from the clutches of gang life. Another tells of a desert party blasted by a midnight sandstorm. Along the way, the reader should experience the growth and development of the scene itself, from its underground beginnings to the mammoth festivals of today. It’s described as an important account of the collective rave history and the evolution of electronic music entertainment. The book contains thirty essays over 250 pages and is out now on Tullberg’s own 5150 Publishing imprint.